If you can’t resolve your family conflicts respectfully, does mediation work? That is the question I asked Robert (Bob) Stocks, a business consultant and coach. Our usual chit-chat eventually turned to a conversation about mediation, Bob’s area of expertise. Networking is learning. Learning is networking. When anyone attends a Canadian Association of Farm Advisors (CAFA) meeting, they are privy to a wealth of knowledge offered by other advisors in attendance. This is exactly what I received, a first-hand glimpse into the role of a mediator when families stop talking about important matters. Many years ago, Bob made the decision to take courses in Conflict Resolution through a college in Boulder, Colorado. Today, he vows that his old school mentality has helped him serve his clients effectively both in the past and present. The two styles of family conflict are matrimonial (between a husband and a wife) or inter-generational (between parents and children or siblings). When a family is having disputes, bringing them together into a room to air their concerns and grievances doesn’t work. Bob prefers to have the initial conversations with them individually. You have an opportunity to hear everyone’s objectives in advance on a one-on-one basis. You not only hear their objectives but you understand their objectives. This is critical. People need to feel they have a say if the issues are ever to be resolved. They want to feel they are in control of their destiny if a deal is to be made. Bob shared his father’s wisdom. His father combined a valid statement with a direct question, “You might be right and I hear you, but will it do you any good?” It’s a question we probably should ask ourselves often when confronted with the choice of either winning the argument or winning the relationship. Harboring resentment against family does not do any good for anyone. When you do, you unknowingly cause more harm to yourself. This phrase shines a new perspective on the subject: “Holding a grudge is like drinking the poison and waiting for the other person to die”. We never want to be in a position where our thinking is clouded by our emotions. Bob referenced a very insightful and popular book. 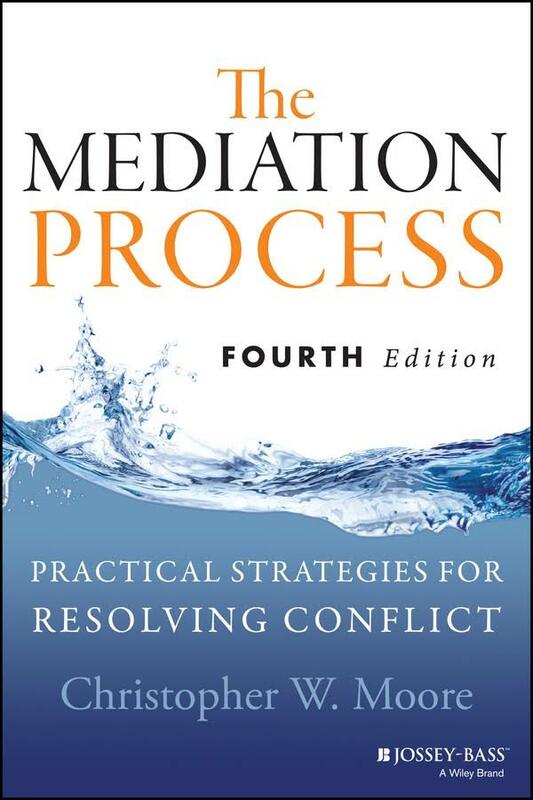 Christopher W. Moore’s book, The Mediation Process, Practical Strategies for Resolving Conflict is used by many conflict resolution practitioners, faculty, and students as the all-inclusive guide to the discipline of mediation and conflict resolution. Here’s the logic behind this process. Mediation is a better alternative compared to having matters settled in court. The decisions made by the courts might not result in a desired outcome. A mediator, like Bob, helps people decipher their own solutions. There are no easy answers but the important thing is to find a way to talk about the issues which have people feeling stuck. The families are persuaded to push through their problems and hurt feelings and to think about how they can get to a better place than where they are presently. 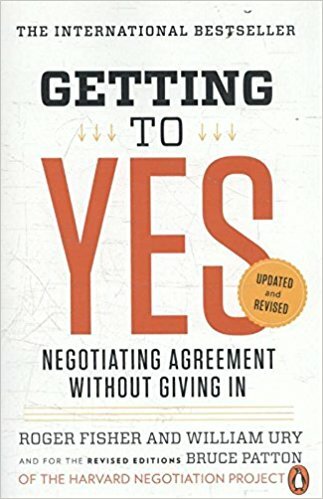 Another best-selling book, Getting to Yes, Negotiating Agreement Without Giving In written by Roger Fisher and William Ury, supports Bob’s belief that no one should cave into agreement. “No one wants to feel forced to do something they do not want to do. They should not be forced into a deal they do not like.” All options needs to be considered. The decision is to pick an option which is better than a worse one. Reaching a Win-Win agreement far outweighs a Win-Lose or Lose-Lose agreement. Mediation always works. The only time mediation doesn’t work is when the parties are not willing to pay the consultation fees to have the conflict resolved. That’s the clincher. If people could see into a crystal ball the situation going from bad to worse, they might change their minds. Do they want to pay a little now for a consultant or pay a lot later for a lawyer and court fees? In the end, the result may not be pretty if they choose to wait by avoiding both the conversations and the fees. 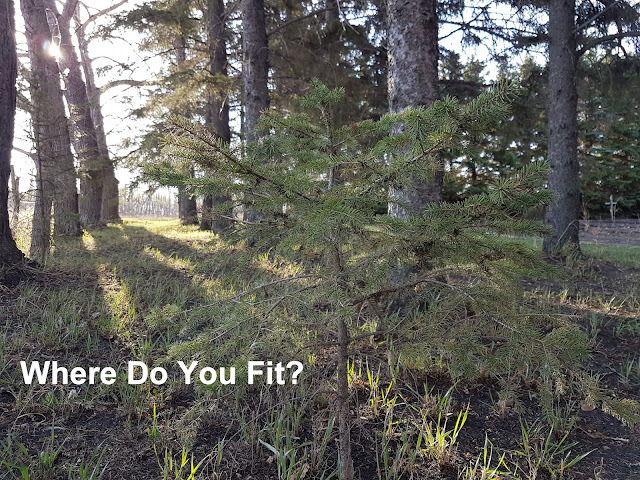 As I write this blog, I think of my family’s situation. My father and his brother passed away without talking to each other. 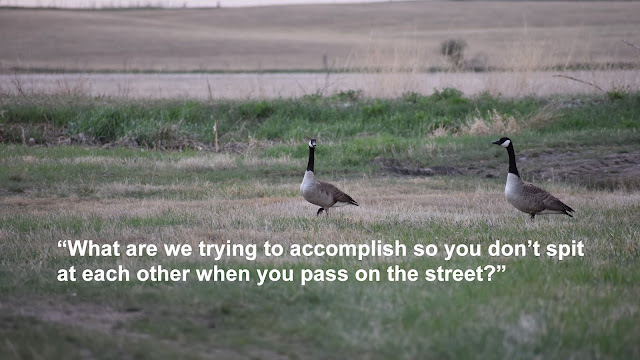 I reflected on the question Bob poses to his clients, “What are we trying to accomplish so you don’t spit at each other when you pass on the street?” I realize that my family’s situation is not an isolated case. Many families find themselves in a similar dilemma. Hurt feelings and unresolved conflicts cause relationships to blister with anger, grief, and sadness. If there’s a slight chance you can mend the broken bridges in your relationship with mediation, you are encouraged to try regardless of the cost.